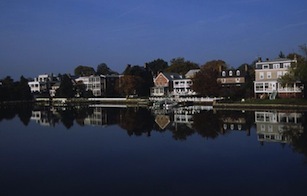 Pictured above: Chestertown, Maryland, an historic river port in colonial America. 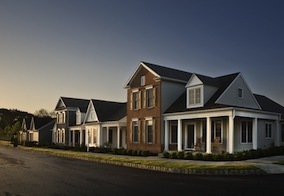 Offering maintenance free first floor living homes in Pennsylvania, Heritage Strasburg is steps from Strasburg&apos;s Main Street, Strasburg Railroad, and picturesque Amish settlements. Only minutes from the shops, restaurants and excitement of Lancaster! Call 800-325-3030 for details. A member recently suggested that we compare different regions of AZ and perhaps NM and UT, just as we have done for Florida and the Carolinas. Good suggestion - it&apos;s coming soon! Correction: Last week we referred to South Padre Island as both "South" and"San". It is South Padre. A while back Jay Michaels told us about his visits to communities in Williamsburg, Virginia. Here in Part 2 he shares his experiences and impressions from visits to 5 more top active communities. Here is your exclusive scouting report of what he liked, and he wasn&apos;t so crazy about. There must be something conducive to retirement in Banning, at least judging by the number of active communities found here. The town is in the desert between Los Angeles and Palm Springs. 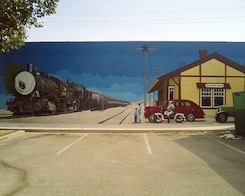 A great place for outdoor lovers, Banning offers a lower key and less expensive place to retire. Click on a state to see reviews of 836 great retirement towns, plus capsule summaries of 1,740 active adult communities. The past week generated more than the average share of helpful features on retirement issues. So we&apos;ve put our top 6 stories all together in the Blog. They include the cost of medical care in retirement (high! ), unrealistic retirement goals, improving home prices, and practicing retirement before you leap. One of our favorite parts of Maryland is the Delmarva Peninsula. Its geography seems to screen out the congestion and urgency of the Balt-Wash corridor. Chestertown is an historic river town and former seaport. It is also home to Washington College, one of America&apos;s oldest institutions of higher education. Do you really know what happens when you leave your loved one in an assisted living or nursing home? Many care givers are saints, a few are not. And not every institution is as committed as you would like. Nisha Kaushal has written a piece you might find helpful.